Need to send gifts to your friends? Forgot something at home? Got something important documents needed by your client right away? GrabExpress has got you covered! 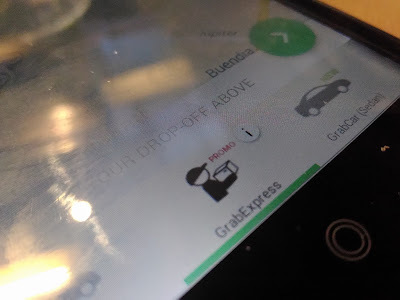 GrabExpress is a new courier service from GrabTaxi, the country’s leading transportation mobile app, assure a convenient, realible and safe on-demand delivery service suitable for personal and business use. With just few taps on your smartphone, you can now send documents, parcels, gifts and more to your loved ones. You can even ask the rider to purchased items under Php 1,000 for you like popcorn and coffee. If you’re a small business, you can partner with them to deliver your products to your customers like clothes, juices or phone accessories. It is an on-demand delivery service where the rider comes to you immediately upon booking confirmation, get package and deliver it right away to your recipient. · Key in the Recipient’s Name and Contact Number in the Note section, as well as the important details such as landmarks and gate number so the rider will find the destination easier and faster. The best part is, after confirming the booking, you and your recipient can track your package’s status and whereabouts real-time. GrabExpress can be used for packages that are less than 5KM with dimensions not exceeding to 28cm x 32cm x 12cm. It’s best available from Monday to Saturday, 8AM to 8PM in Alabang, Makati, Mandaluyong, Manila, Marikina, Pasig, Pateros, Pasay, Paranaque, San Juan, Taguig and Quezon City district 1,3,4 and 6. For corporate partnerships, you may contac Arlet Villanueva at support.ph@grabexpress.com.